By early summer, Motonari had led his army to Hamada castle, and had established siege works around the fortifications. The army’s camp became the clan’s centre of government, as Motonari directed the clan’s activities. His recent victories had added to his reknown as a strategist, and a biwa player had joined his retinue. This improved the morale of his tired troops. His recent victories had also boosted the morale of the Mori subjects and this feel-good factor appeared to be providing a small boost to the economy. A message arrived from senior retainers in Aki proposing that Mori clan scholars work towards improving their understanding of ship building and naval strategy. 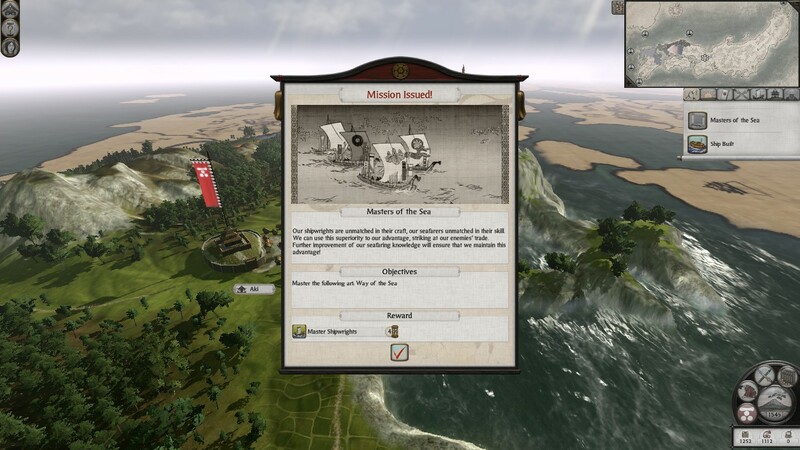 A friend of mine, Valerius, has submitted a great AAR for Shogun 2. Enjoy! 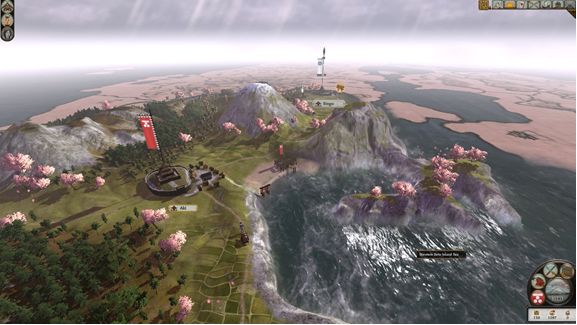 By 1545, in the 14th year of the reign of emperor Go-Nara, the once peaceful realm of Japan had descended into chaos. Since the outbreak of the Onin war, over 70 years earlier, the power of the Muromachi Bakufu of the Ashikaga Shoguns had been nearly totally eroded. Nominally still charged with the security of the country, in practise the Ashikaga were figureheads, just like the imperial family whose power they had usurped. Mori Motonari had been at the healm of his clan for over 20 years, and had thus far protected his province from the ravages of war. The Mori clan’s home province was in Aki. Aki has good fertile soil, and was known for a local holy site, which made local monks especially zealous. In 1545, the Mori clan was embroiled in an ongoing disupte with the Amako clan. A Mori invasion was recently turned back at the gates of the Amako clan stronghold in Izumo, and now the Amako were counter-attacking, with an army having reached the Aki-Iwami border. Bucaneer dropped me an email to let me know about his blog The Losing Move and the Shogun 2 AAR/Lets Play he’s working on. He’s done a great job, and the AAR is a fun read and well illustrated. Head over and give it a read!